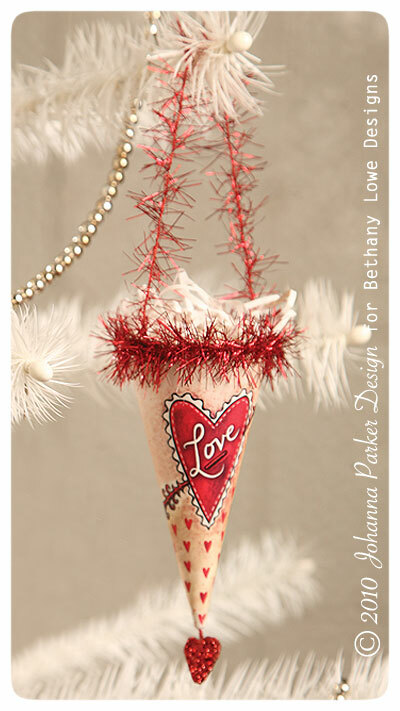 My illustrated Love Cone is made from a thick-walled cardboard and adorned with red tinsel trim. It would be lovely to fill it with candy or perhaps hide a special jewel or necklace within for a special gift to your significant other. Hang it in your home and have your lover hunt for the love cone. These cones would also make lovely party favors for your Valentines-themed festivities. Suspend a series of cones, filled with sweets, from a feather tree or other clever stand in your home, and have your guests take them home to remember your special occasion. 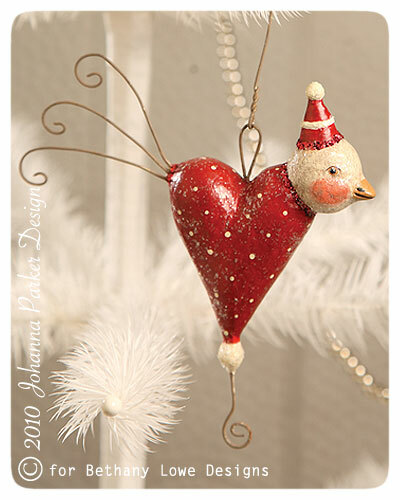 Have a lovely Valentine's Day, and thank you for adding a little touch of Johanna Parker Design whimsy to your holiday!